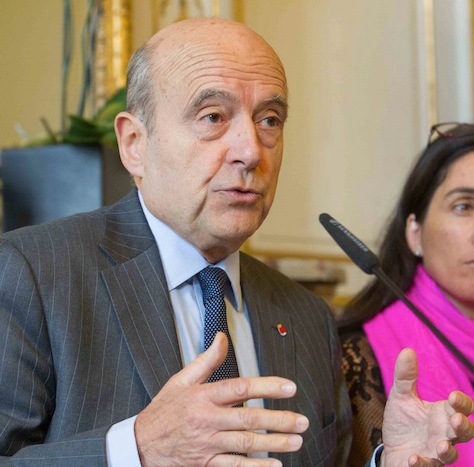 Can Alain Juppé really become France’s next president? Nicolas Sarkozy returned to the front line of French politics this weekend, easily winning the leadership of France’s leading center-right political party, the Union pour un mouvement populaire (UMP, Union for a Popular Movement). But Sarkozy’s breezy leadership resumption doesn’t mean that he should be packing his bags to return to the Élysée Palace anytime soon. 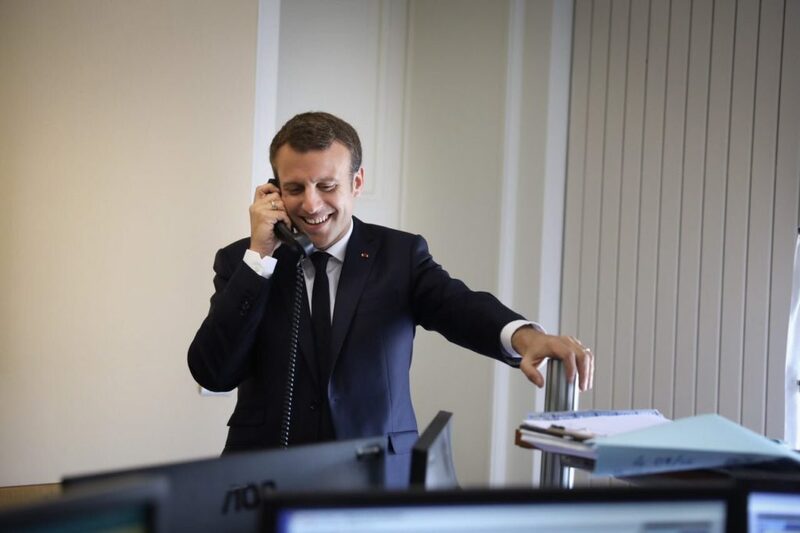 Winning just 64.5% of the vote against token opposition, Sarkozy’s internal UMP victory wasn’t the incredible triumph that he might have hoped. That insouciance underlines the greater ambivalence among the wider French electorate about a Sarkozy comeback. Sarkozy lost his reelection bid in May 2012 to François Hollande, the candidate of the center-left Parti socialiste (PS, Socialist Party). 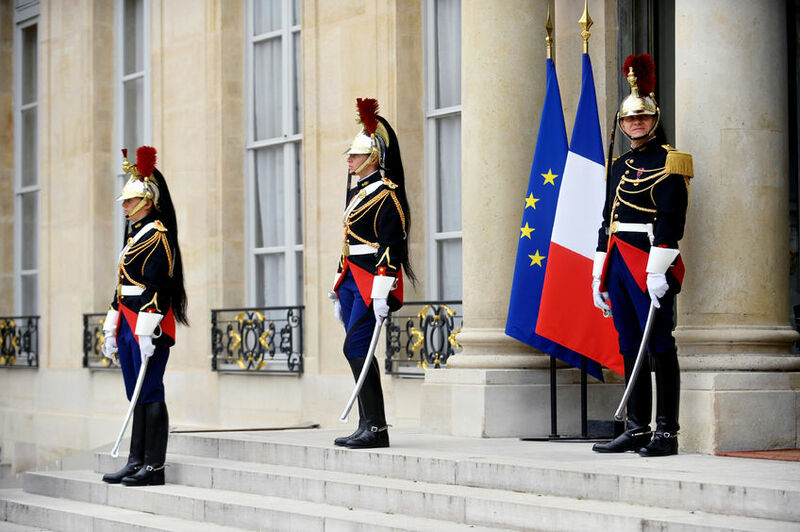 Though Hollande is now the most unpopular French president of the Fifth Republic, many voters would be happy for Sarkozy to remain on the sidelines. He’s saddled with memories of his ‘bling-bling’ administration, the futility of his reform efforts (beyond raising France’s retirement age) and the growing list of legal troubles that will plague any 2017 presidential bid. Hollande is mired with some of the lowest approval ratings of any global leader as the French economy continues to stumble, even in comparison to the sluggish economy of neighboring Germany. Hollande’s high-profile breakup with partner Valérie Trierweiler dominated headlines earlier this year, despite his 2012 promise of a ‘normal’ presidency without the distractions of personal turmoil. 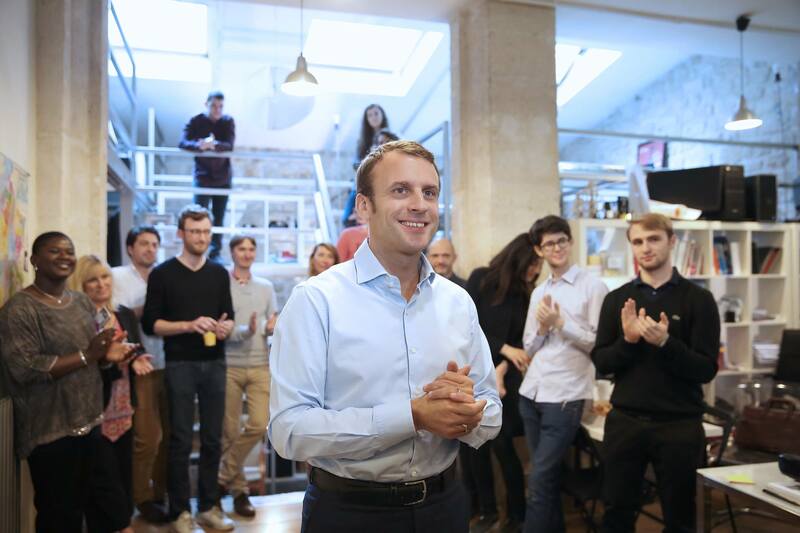 His efforts to pass a tax on incomes over €1 million caused a wide backlash, as have his efforts to bring France’s fiscal deficit within EU targets. Hollande attempted a restart earlier this year by appointing a new cabinet, headed by popular interior minister Manuel Valls as France’s new prime minister, but that hasn’t, so far, revamped his reputation. Even though Hollande (or any Socialist contender, including Valls) seems eminently defeatable, France’s conservatives aren’t even in agreement that Sarkozy is the right candidate for 2017. Enter Alain Juppé, a senior statesman who hopes to lead the French center-right instead of Sarkozy. 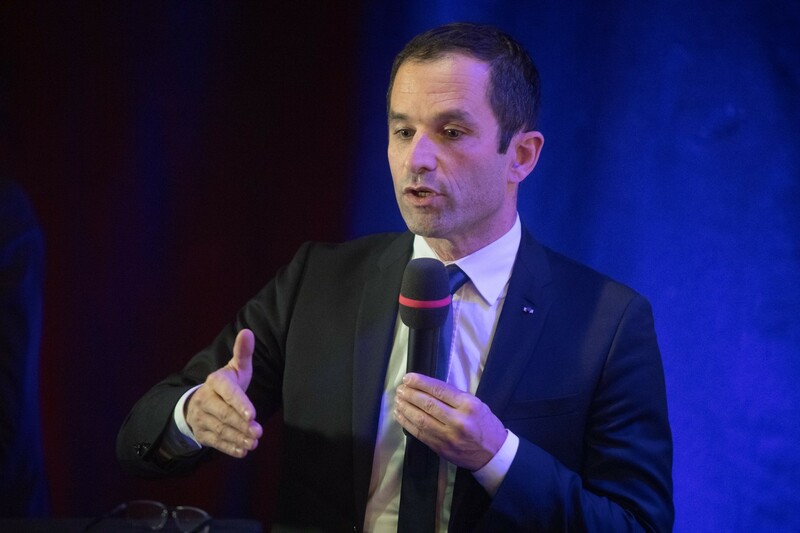 Though Juppé chose not to run for the UMP leadership, Sarkozy’s underwhelming victory is being reported as a back-door victory for Juppé, who has already indicated he will challenge Sarkozy for the UMP’s presidential nomination. 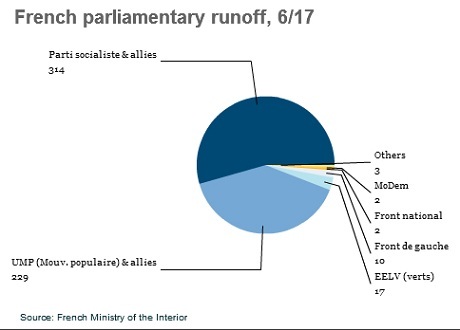 The campaign for French parliamentary elections kicked off just last Monday, for what most observers believe is a formality in installing the newly inaugurated President François Hollande’s Parti socialiste as the majority of the Assemblée nationale. 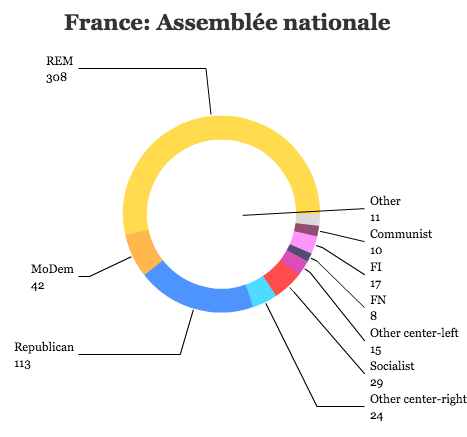 French voters go to the polls this Sunday for the first of two rounds — in each parliamentary district, if no candidate wins over 50% (with at least 25% support of all registered voters in the district), each candidate that commands at least 12.5% support of all registered voters (or the top two candidates, alternatively) in the first round will advance to the second round on May 17. In 2002, parliamentary and presidential elections were fixed so that the former follows nearly a month after the latter. As in 2002 and 2007, it is expected that the winner of the presidential race in May will thereupon see his party win the parliamentary elections in June. The rationale is to avoid cohabitation — the divided government that sees one party control the presidency and another party control the government, which has occurred only three times in the history of the Fifth Republic (most recently from 1997 to 2002, when Parti socialiste prime minister Lionel Jospin led the government under center-right President Jacques Chirac). 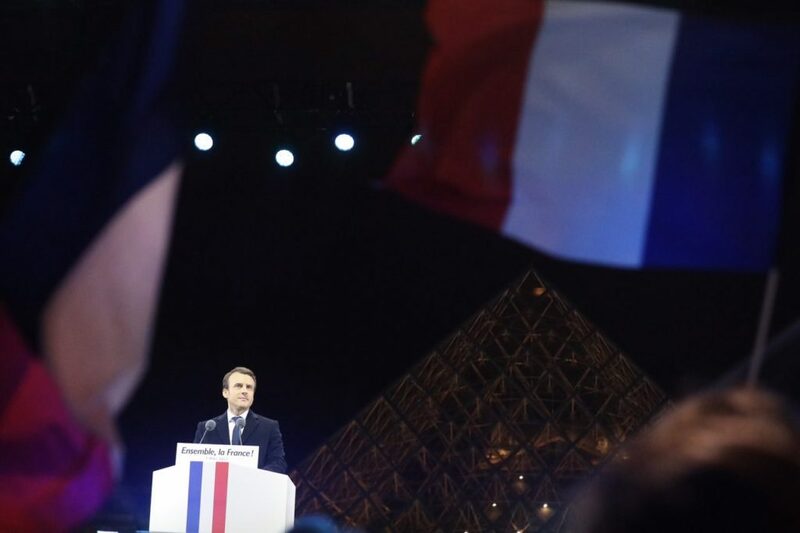 More than in most countries, the French electorate seem a bit more allergic to divided government, which should give Hollande some relief in advance of Sunday’s vote. But there are complications this time around, which may result in a somewhat murkier result. Wait a minute, you might say: Deposed president Nicolas Sarkozy is off licking his wounds in Morocco, leaving a decapitated center-right split between followers of outgoing prime minister François Fillon and Jean-François Copé, head of the Union pour un mouvement populaire (which, unlike the Parti socialiste, is not a decades-long party, but only the latest brand of a series of shifting vehicles of France’s center-right) — Fillon and Copé last week were already sniping at one another. 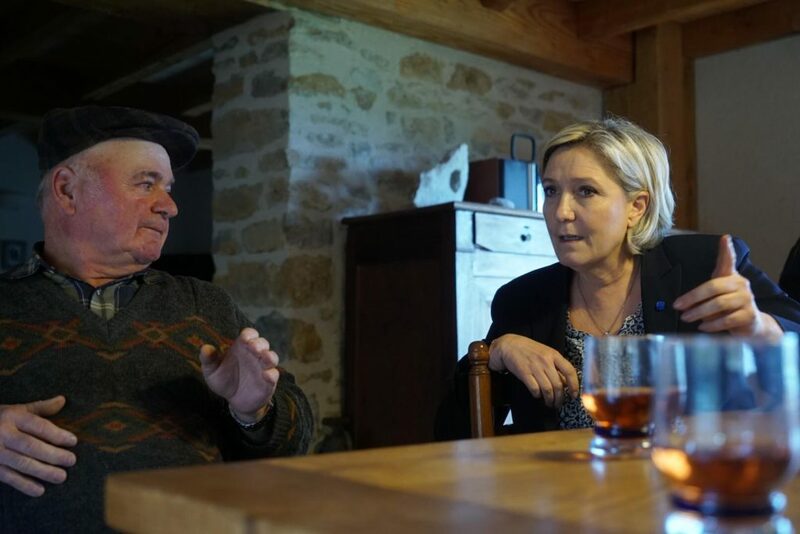 A surging Front national on the far right (and increasingly and uncomfortably encroached on the center-right and parts of the populist left as well), under Marine Le Pen, garnered nearly one out of every five votes in the first round of the presidential election and is hoping to do just as well in the legislative election. Meanwhile, Hollande’s prime minister Jean-Marc Ayrault, seen as a prudent and moderate choice to lead France’s new government, has a 65% approval rating (higher than Hollande’s own 61% approval! ), and Ayrault is already moving to reverse part of Sarkozy’s signature reform — raising the retirement age from 60 to 62 — by allowing a small subset of longtime workers to retire at 60. 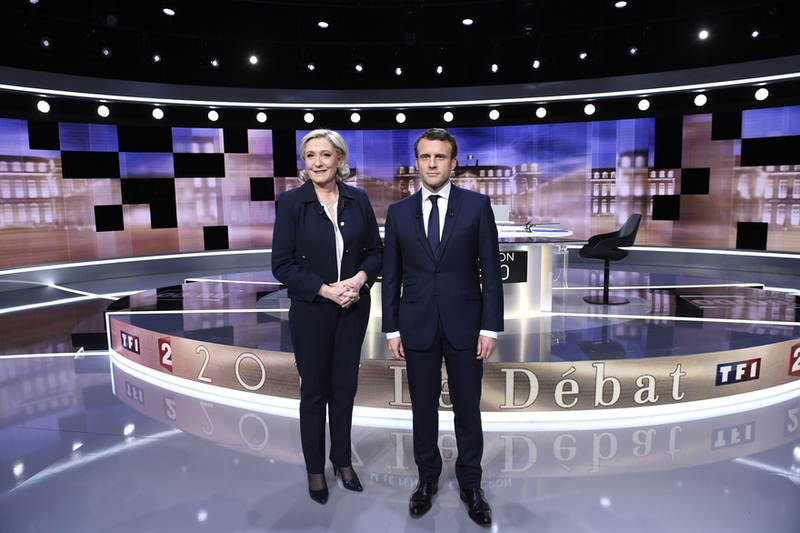 French presidential finalists — incumbent Nicolas Sarkozy and Parti socialiste candidate François Hollande — faced off Wednesday night in what commentators are calling the most animated debate in the history of French presidential debates. In short, Sarkozy jumped into the arena as attack dog on any number of issues — defending his record on the economy in France and in the eurozone, and going on the offensive on any number of cultural issues, such as immigration. Hollande, in turn, gave as good as he took from Sarkozy, showing that he could rebut the president’s jabs persuasively, forcefully and calmly. “I won’t accept lessons from a political party that was enthusiastically uniting behind Dominique Strauss-Kahn,”Sarkozy said in a hard-fought debate four days before France’s election. 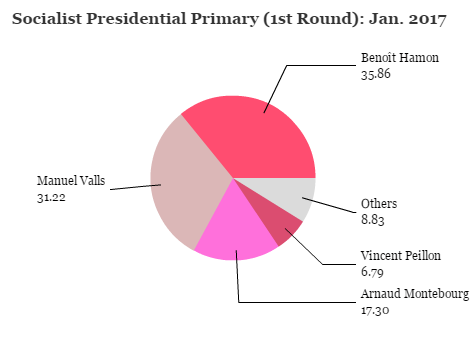 In any event, the result is a presidential race with a dynamic fairly unchanged from the pre-debate dynamic, with Hollande leading by anywhere from six to nine points in advance of Sunday’s second-round vote. If anything, Hollande gained a little ground — by pushing back at Sarkozy, he showed he is not quite the squish everyone assumes him to be. The first round of France’s presidential election is now over, and the two leaders, incumbent Nicolas Sarkozy and Parti socialiste candidate François Hollande are both running hard for the runoff election on May 6 — just nine days away. The big story out of Sunday’s vote — the strong third-place finish of Front national candidate Marine Le Pen — has shaped coverage of the race, even as Le Pen has fallen out of the race: both Sarkozy and Hollande are pursuing Front national voters. 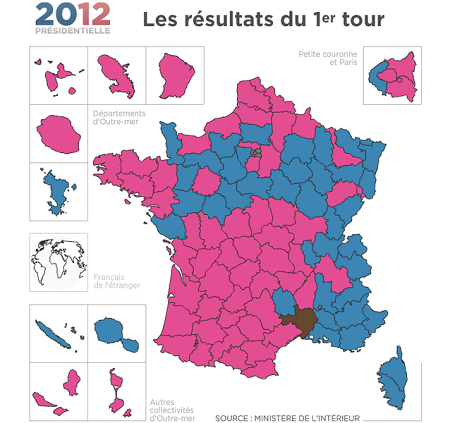 Hollande won the first round with 28.63% of the vote to just 27.18% for Sarkozy. Le Pen won a higher-than-expected 17.90% and Front de gauche candidate Jean-Luc Mélenchon won a lower-than-expected 11.10%. Centrist Mouvement démocrate candidate François Bayrou finished in 5th place with 9.13%. So where is this race headed for the second round? In the history of the Fifth Republic, no incumbent president has lost the first round of a presidential race (although there have been three occasions when the first-round winner ultimately lost in the second round — the last time was 1995, when Jacques Chirac defeated first-round winner Lionel Jospin). 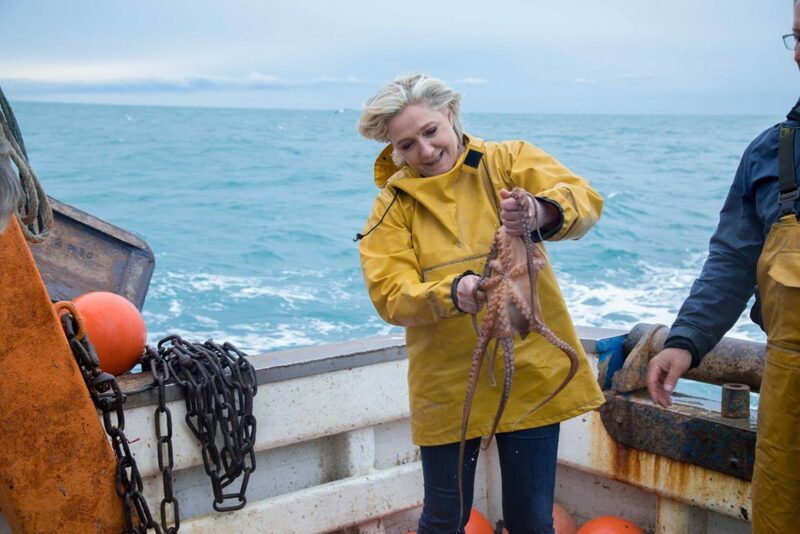 Whereas Mélenchon has already given his full support to Hollande, Le Pen has not given her support to Sarkozy — and FN voters are split among Sarkozy, Hollande and abstaining altogether. 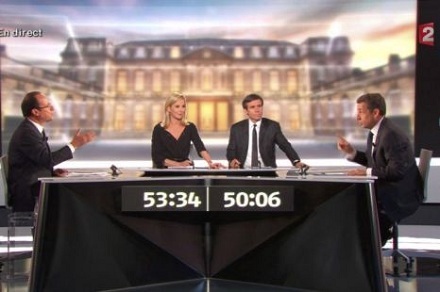 Sarkozy and Hollande will face off in a May 2 debate. French voters go to the polls on Sunday for the first round of the presidential election. 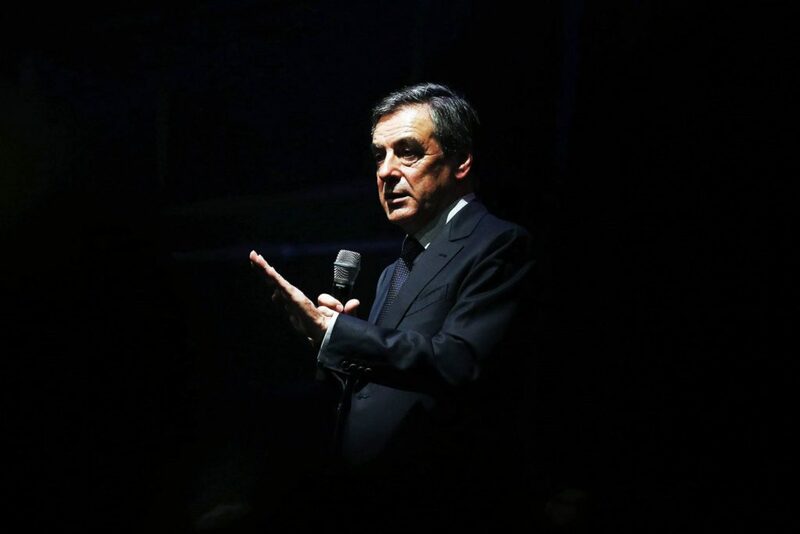 We already know the top two candidates to emerge will most certainly be incumbent Nicolas Sarkozy and Parti socialiste candidate François Hollande. Despite polls that showed Sarkozy tied with or even pulling ahead of Hollande, the trend has now moved back to a slight Hollande lead. Either way, it seems a safe bet that each will win just under one-third of the votes. 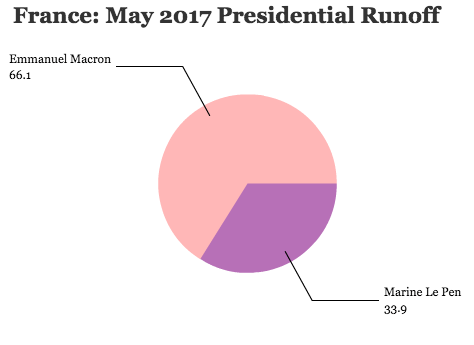 Ultimately, every poll has shown Hollande with a significant second-round lead, so the winner of the first round will take away bragging rights and perhaps a little momentum, but if Sarkozy edges Hollande out in the first round by a small amount, don’t expect that alone to significantly scramble the dynamic. Indeed, the first-round winner is by no means a lock to win the second round — Lionel Jospin, for example, won the first round of the 1995 election but Jacques Chirac emerged in the second round with a majority; similarly, François Mitterand lost the first round of the 1981 election (to Chirac) before winning the second round, and Valéry Giscard d’Estaing won the second round in 1974 after losing the first round. The battle for third place looks a bit more interesting — although none of Front national candidate Marine Le Pen, Front de gauche candidate Jean-Luc Mélenchon or centrist François Bayrou will place out of the first round on Sunday, a strong showing for any of them could increase their political leverage with Sarkozy and/or Hollande in the event of a second-round endorsement (Le Pen is unlikely to support Sarkozy, although her supporters will likely support him overwhelmingly; Mélenchon has already said he will support Hollande in the second round; it is unclear who Bayrou might endorse). 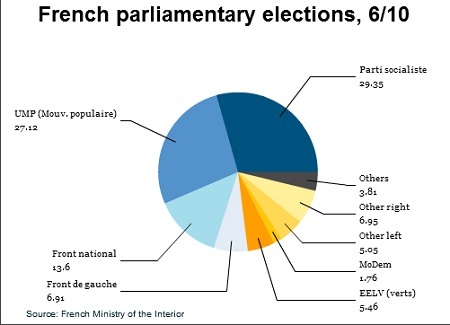 Each will also be looking to June parliamentary elections as well — a strong showing in April is not dispositive of a similarly strong showing in parliamentary elections, but it’s a good indicator. Mélenchon, too, may well be able to exchange a full-throated and enthusiastic endorsement of Hollande for soft support in the legislative election and/or potential ministry posts for his fellow communist/leftist coalition partners.